Are you doing everything by the book when it comes to weight loss? Do you find yourself feeling frustrated that no diet seems to work for you? Are you constantly asking yourself why am I not losing weight? It can be exhausting when you spend weeks exercising and you don’t see any weight loss results. However, there are a number of reasons you could no be losing weight. This article will give you common issues people face on their weight loss journeys and how you can overcome them. Read on for 8 reasons you’re not losing any weight. A lot people fall into the trap of doing tons of cardio in order to lose weight. Women especially tend to ignore strength training altogether as they’re afraid of getting bulky. The truth is strength training is one of the best ways you can lose weight. Strength training keeps your metabolism revved up for 24 hours after your workout. Also, the more muscle you have, the more calories you burn simply by being awake. Strength training enables your body to move more efficiently through all aspects of your life. If you find yourself eating well and exercising and still asking why am I not losing weight, it could be your lack of sleep. Not sleeping enough causes your body to enter a stressed state. When you’re stressed, your body turns to quick calories. Your body will reach for high-calorie foods because it needs the energy to get through the day. If you get the recommended 7-9 hours of sleep every night your metabolism can work effectively. 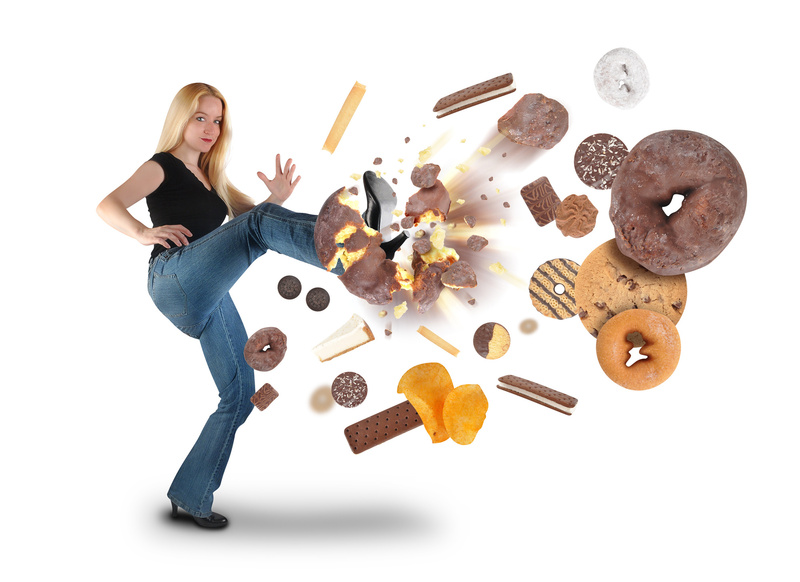 Refined sugar is your mortal enemy when it comes to weight loss. You simply can’t eat cakes, cookies, and chocolates and still ask why am I not losing weight. Sugar hikes up your blood sugar and causes your body to store more fat. If you cut out refined sugar and stick to the natural sugars found in fruits you’ll be shocked how quickly you can shed the extra weight. Many of us work sedentary jobs at which we sit at a desk for 8 hours a day. When we get home from work the last thing we want to do is move around. We are more likely to turn to the television. Not moving around throughout your day will cause your body to hold on to the calories you eat. Losing weight is all about creating a deficit between the calories you eat and the calories you burn. If you’re not moving at all throughout the day your body will not be burning enough calories to lose weight. Try to take an evening walk or jog each day after work. It is recommended you get 10,000 steps a day to be healthy, so get moving. Water is liquid magic when it comes to your health. Many of your health issues could be cleared up if you drank adequate water. Water is used to flush toxins out of your body. When you’re dehydrated, your body reaches for food. Often times poeple think they’re hungry when they’re really just thirsty. Give your body the recommended 8 cups of water that it needs. Your skin, internal organs, and waistline will thank you. Try to make it a habit to quit eating at 8 pm. Eating late at night is a sure way to gain weight. This is because when it gets later you’re getting closer to falling asleep. You’re less likely to be able to burn off a hamburger that you ate at 11 pm than you are one you ate at 6 pm. You shouldn’t go to sleep for the night stuffed full of food. Your body needs to move around after you eat to give it a chance to burn those calories. When asking yourself why am I not losing weight, it’s a good idea to check what you’re drinking. If you’re trying to lose weight, it’s best to stick to water, coffee, and tea. Many people get in the habit of drinking more calories than they eat. Alcoholic drinks like beer and wine are high calorie and can lead to weight gain. Sodas and high sugar fruit juices should also be avoided. If you must have coffee in the morning that’s fine, just don’t fill it with lots of cream and sugar. Black coffee is the healthiest option and it has antioxidants that are good for your health. If you want to lose weight it’s best to avoid refined carbs. The carbs found in white bread, pasta, and desserts do nothing for you nutritionally and they cause you to gain weight. Instead of pasta, switch to quinoa or brown rice. Instead, white bread, try whole grain. We hope this article solved your question of why am I not losing weight. Losing weight is about finding a balance and being healthy. It’s always better to lose weight in a healthy and holistic way than to try yo-yo dieting. When you try an extreme diet, you’re likely to put the weight back on just months after you lose it. It’s healthier to aim for losing about 2 pounds a week through a healthy diet and plenty of exercise. Don’t forget the strength training! Want to learn more about our method of weight loss? Please check out some before and after photos here.